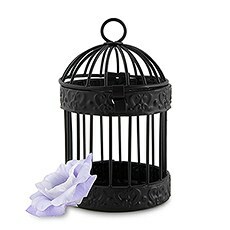 Let your imagination fly free with our divinely decorative birdcages - all available at fantastic prices at The Knot Shop. 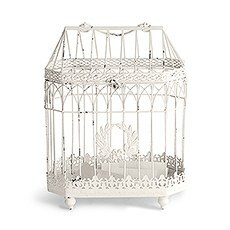 Our birdcages for weddings are hand-picked and chosen for their classic style and grace - choose your color, design and shape, and see how easy it is to implement these fantastic details into your tabletop wedding decor and wedding centerpiece decorations. 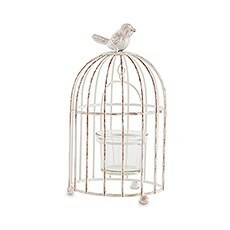 From small birdcages to large, our selection can't be beat!Our beautiful decorative wedding birdcages can be used for many different purposes - from card holders and fab wedding favor holders to votive candle pieces and containers that are bursting full of buds, blooms and greenery. Like the idea, but still not sure what sort of look you want? 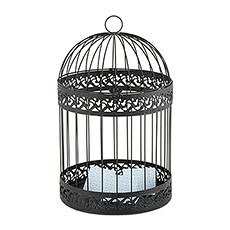 Browse our ideas and inspiration to help you decide what look suits your wedding decor or your wedding centerpiece style.These multi-purpose birdcages can be used to accomplish many different wedding style designs. 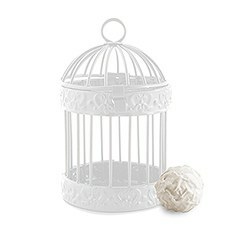 Are you a hopeless romantic and lover of everything shabby chic? 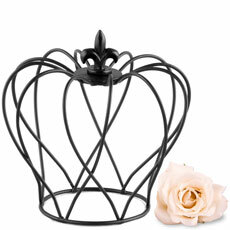 Or do you possess a more modern and contemporary style? From romantic to modern, or even somewhere in between, these wedding birdcages are versatile enough for any effect! 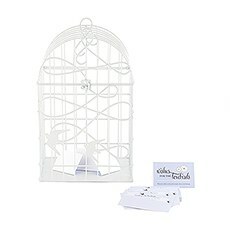 All that is needed is some fresh ideas, simple props and easy embellishments.Consider our fully customizable, easy-to-create tags to add to these decorative birdcages to give them a personalized, charming touch. Place them on each of your guest tables and stuff them with baby's breath, cabbage roses and ferns for a pretty spring or summer look. 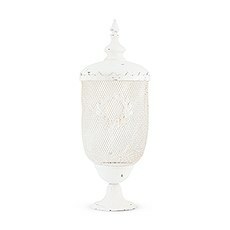 Encourage your guests to write well-wishes and drop them into these lovely containers to gather and add to your wedding book. 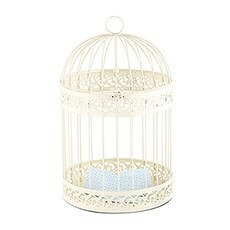 Whatever purpose you use these unique wedding birdcages for, the outcome will be a smashing success!Your wedding centerpieces and tabletop decor is guaranteed to be beautiful and one of a kind with our selection of fabulous decorative birdcages from The Knot Shop.